With @xbxchxnx and @tito_vida of @bubble____t. 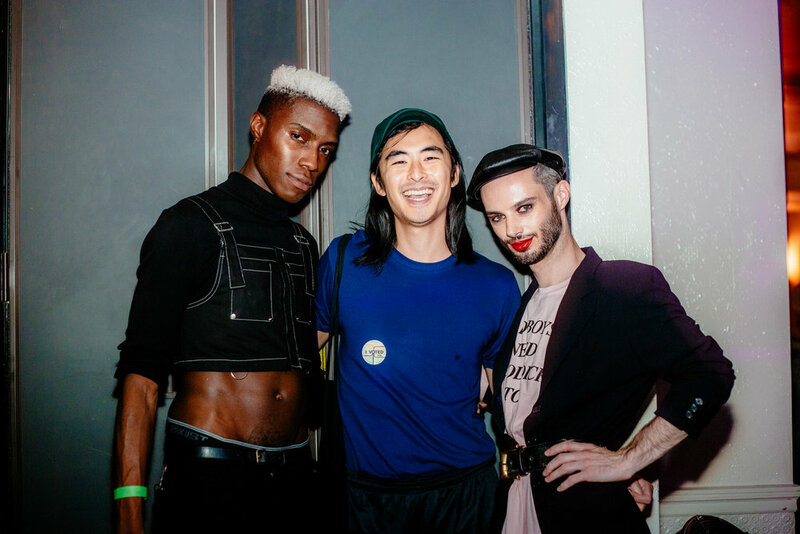 Last week we teamed up with Bubble_T to launch Cakeboy 07: THIRST at the Ace Hotel and the crowd did not disappoint. With rousing performances from Serena Tea and West Dakota (topped off with a crossover kiss) plus all-night go-go by Sammy Kim, the evening was indeed one to remember. And my lipstick only bled a little! —Sean Santiago. Photographed by Minü Han. Wearing Fluide liquid lipstick in Rosemont. Raffle winners received prizes from Nicopanda, Boy Smells and Studio Ready. @humberto and @nihl.nyc with mesh tank moment. With issue 06 model @east.of.edem and @patrickglee. @mssingnoah with @boyinternet and friend. Huynh with @mitchellkuga and @koojjjiiii. With @paulyt and @steviehuynh of @bubble____t. The cake belongs to @khmericanleatherboy.